After a long day of exploring the outdoors, there isn’t anything better than a sweet, comforting indulgence. Bake Lodge combines the rustic appeal of a mountain retreat with the sophistication and elegance of a French Dessert. We offer cakes, cookies, pies, tarts and seasonal jams, specializing in simplistic design and execution. 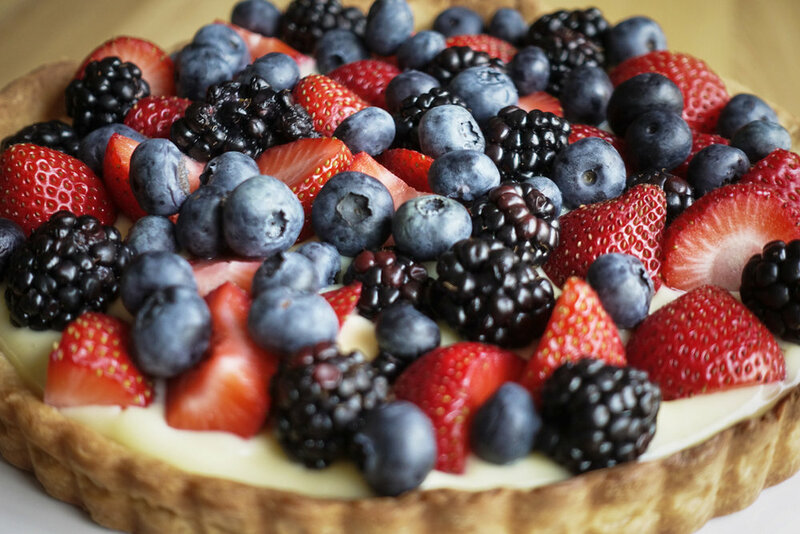 Week of July 23, 2018 - Summer Fruit Tart with blueberries, blackberries, strawberries and pastry cream on a classic tart crust.